NLF50 - 4.5mm fine bullet point. 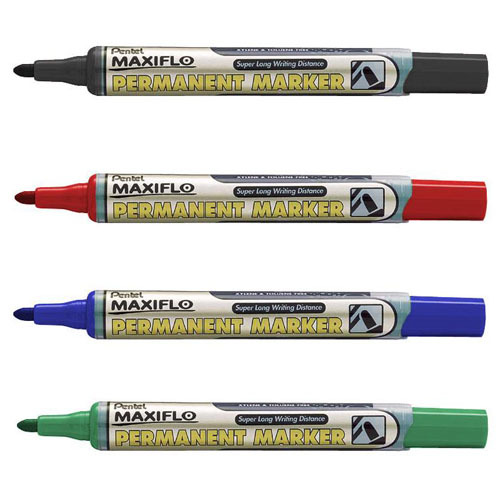 The ''Maxiflo Pump Action'' Ink Rejuvenator ensures ink will not dry out - facilitating a steady flow right down to the very last drop of ink! 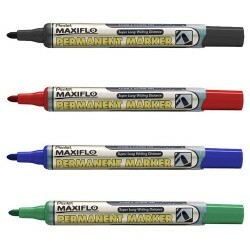 With denser ink for greater adhesion, this unique pump action permanent marker lasts 1.5 times longer than conventional permanent markers.